This exercise showed we have made great progress in our amphibious capability and in joint effects. I know everyone involved has gained new experiences and skills, learned much about working with our sister services, and enjoyed operating in the coalition of 10 nations. This was the reaction of Air Vice Marshal Kevin Short, Commander Joint Forces New Zealand, after the military exercise ‘Southern Katipo 13’ concluded in New Zealand late last month. 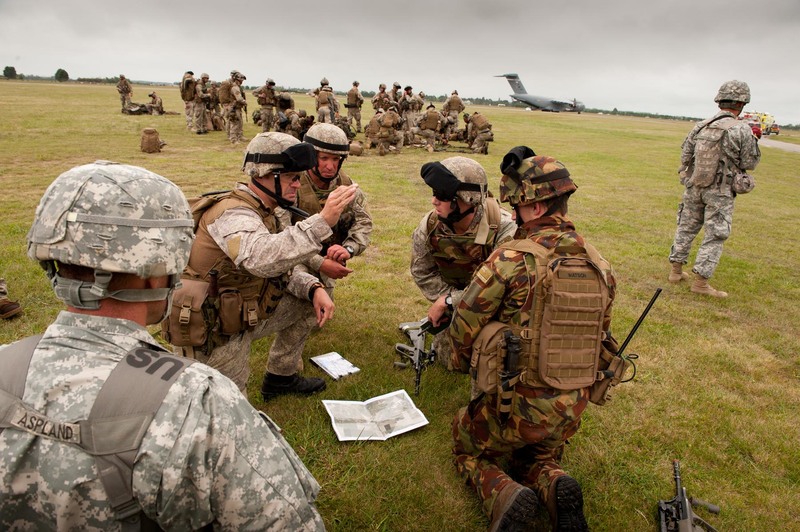 The exercise involved the three services in New Zealand and soldiers, marines, sailors and airmen from Australia, Canada, France, Malaysia, Papua New Guinea Singapore, Tonga, the United Kingdom and the United States. France sent the frigate FS Prairial and two aircraft. Australia and Singapore both sent Super Hercules aircraft and the US sent two C-17 Globemasters. Altogether 2,200 people took part. It was the largest amphibious exercise ever held in New Zealand. It wasn’t the first time New Zealand and US forces have exercised together since the break in 1985 after New Zealand declared itself nuclear free. That occurred last year in Ex Alam Halfa. The American’s earlier refusal to take part in military exercises with New Zealand was one of the measures adopted in response to NZ’s anti-nuclear policy and legislation. Before that, NZ had been a functioning member of ANZUS, including participation in exercises. In the intervening years, Australian troops continued to exercise with NZ troops, while NZ also took part in other international exercises. The shift in the US position means that NZ will continue to take part in a number of exercises with American troops, though not under the ANZUS banner. One of the factors limiting NZ participation in all other exercises is that the US and Australia deploy advanced technology and weaponry which the New Zealand Defence Force doesn’t have. The scenario envisaged for ‘Southern Katipo 13’ was a fictional South Pacific country which requested intervention to restore law and order. During the exercise, order was restored in the ‘rebellious province’ and 80 of its ‘citizens’ were taken to ‘safety’ in the HMNZS Canterbury from the port of Bluff, at the southern tip of the South Island, to Port Chalmers in Dunedin. The exercise attracted some public interest and one of the NZ commanders said that he’d had public reports of soldiers being offered home baking. US marines helped in a clean-up operation in the city of Christchurch, large areas of which were devastated by the earthquake in February of 2011 and remain in poor condition. Besides its operational success the exercise fulfilled a number of policy and strategic objectives. First, the NZDF is largely configured to slot into operations with other forces. Southern Katipo, with troops from nine other countries, provided experience in fitting in and being compatible with others. Interoperability with principal defence partners is a priority for the NZDF. Secondly, the present National Party-led government has been determined to re-establish defence links with the US and this exercise reinforced those links. Thirdly, in envisaging the occasions on which the use of force by the NZDF was likely the 2010 White Paper on defence  lists five contingencies: a direct threat to NZ and its territories; a direct threat to Australia; as part of collective action because of a direct threat to a Pacific Forum member; as part of a NZ contribution to the Five Power Defence Arrangements; or if requested or mandated by the UN, especially in support of peace and security in the Asia-Pacific region. All of these purposes have been served by the November exercise. The exercise is also relevant to this year’s Australian White Paper on Defence, which says that New Zealand is the country ‘we are most likely to conduct operations with in our region’. Stuart McMillan is an adjunct senior fellow in the school of social and political sciences at the University of Canterbury. Image courtesy of the NZDF.